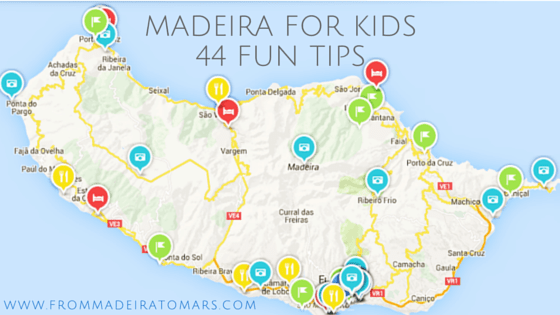 44 tips for a fun Family holiday in Madeira. Kid-friendly hotels and restaurantes, guided tours for children, levada walks, shops, beaches and theme parks. 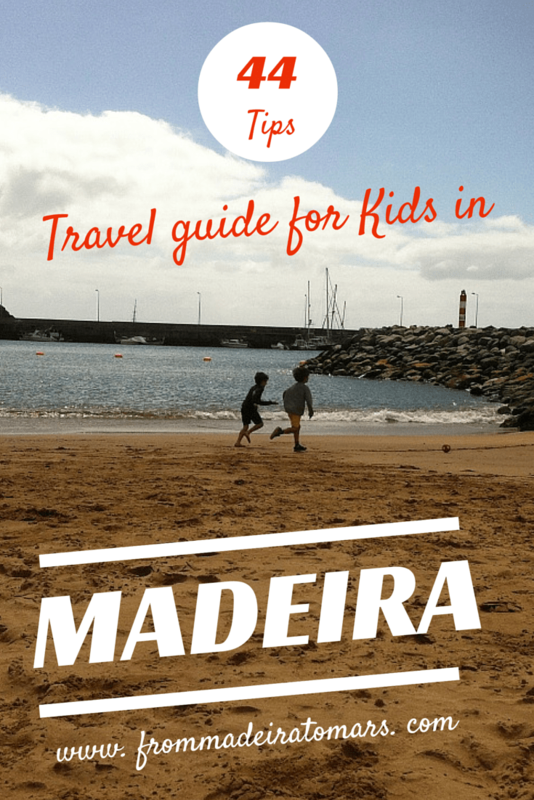 Madeira is Fun for Families! Praca do Mar strip is perfect for long walks , runs in the breeze and watching the cruise ships dock and then leave port. The largest cable in Europe seen from a balcony with a glass bottom. Superb views over Funchal and the Ocean. Not to be missed! The Rua de Santa Maria is one of the oldest streets of Funchal. It has been restored and recovered, bringing a new dynamic to this area of the city. There are also the doors painted by artists who bring color, joy and art to this circuit. Must see! Check the link for more information. This beach is made of artificial sand and with easy access to the water. The beach is close to the airport, so the kids will love watching the planes go by! One of the most popular beaches in Funchal, with a promenade that allows you to walk by the sea to Câmara de Lobos. The beach has pebbles and black sand areas with easier access to the sea. Perfect for jogging or to have a drink by the sea in one of the Terrace bars. The beach of Ponta do Sol has pebbles, which makes it a little more challenging to get into the water. Enjoy this cozi village and walk its pedestrian streets. These pools are charming and unique in Madeira. The entry cost is 1.5 euros for over three years. For Kids 0-3 years is free. Madeira’s water park offers an exciting day with water slides, lazy rapid rivers, Aqualandia, terraces and bars. For football lovers! In the Museum of Cristiano Ronaldo (born in Madeira) we can see emblematic photographs of his career, videos and a wax statue. In the museum you can see all trophies won by him. The biggest attractions are the Golden Ball as well as the Golden Boots. The Whale Museum is one of my favorites. You can peek through binoculars towards the ocean, hear the story of the fur seal, travel in a submarine and hear the sounds that whales make. Located in Caniçal it allows you to explore the sea and learn about marine animals. Are 20,000 toys from various Countries. 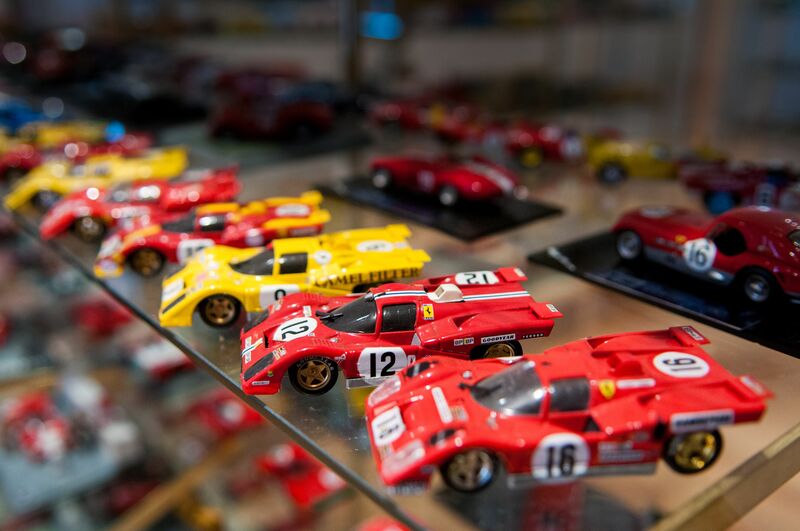 It includes a dolls room, cars, airplanes and educational games. The lighthouse of Ponta do Pargo has a small museum where you can find several photographs and documents relating to the headlights of Madeira. Being the westernmost tip of the island, the view at Sunset is unforgettable. Leisure visit combined with science and knowledge, or in other words knowledge with pleasure! To learn and better understand our laurel forest or to walk on an interactive mat which is a Madeiran levada. Madeira Aquarium consists of 12 display tanks, where the various “habitats” of the Madeiran marine world are represented. The largest tank has about 500 00 liters of salt water, in which it is allowed to dive. The theme is the history and traditions of our archipelago. The enclosure has four multimedia pavilions, a replica of the Monte train, a typical Santana house, a windmill and a lake where you can float in rowing boats. The gardens, walking paths, playgrounds and restaurants, are the recipe for a day well spent. The pavilion “Fantastic Voyage in Madeira” presents a show in which a simulator follows the adventures of a couple on honeymoon on the island. It is considered “The City Park” and has many good reasons. 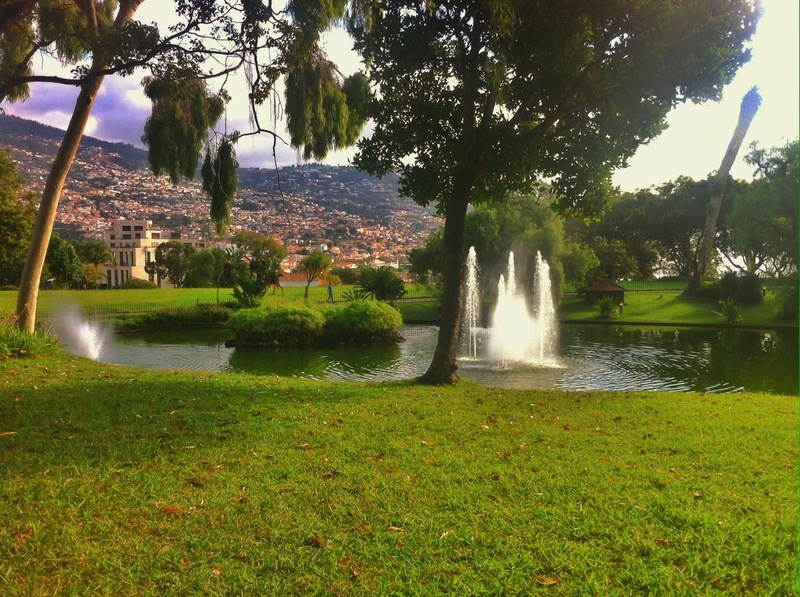 With an area of 36,000 m2 has a chapel (Chapel of Santa Catarina), a pond, a café, a playground, worldwide plants and a lawn with one of the most beautiful views over Funchal. In this park there is also a toy library (ludoteca) where children, when accompanied by an adult, can draw pictures, play or read. It was the former sugar factory of Hinton with its huge tower. It has 5 themed gardens: The Amphitheatre Garden, which the summer outdoor film festival takes place in , the Tropical Garden, the Water Garden, the Garden of the Terraces and Garden of Laurel, with the indigenous vegetation of Madeira, heritage of Unesco. Open from every day from 8-9h Rua 31 de Janeiro. Pico Fortress is the protagonist of this park. The playground is great especially for those with little kids. Café Fortress is just opposite … a coffee, the newspaper and the deserved rest. It also acts as a lookout and has a view of Funchal Bay worthy to be seen. It lasts for 1 hour (round trip) and allows the observation of the highest peaks of Madeira, as well as birds such as bis-bis and the rare pigeon trocaz. Do not miss the Rabaçal views. Easy and accessible to children of all ages. It lasts about 1 hour. Complete it with a picnic in Queimadas. Explore the Bay of São Lourenço with its caves and swim in the clear waters of this coast. The school and the instructors are professionally qualified and have many years of experience surfing and teaching. Classes have a duration of 1.5 to 2 hours (it includes: surfboard, apparel, accessories and transport). Students are required to make an annual or daily insurance. There are several companies that offer this experience at varying prices. Trips start around 10 am and 1 pm. Tukxi Eco Tours gives us a closer and more intimate perspective of Funchal without the fatigue of climbing the steep streets of the city. A fun mini-adventure! The tobogan ride is a unique experience in Madeira. It is definitely an adventure that your kids won’t forget. Have an unforgettable journey along the coast of Madeira to Porto Santo island. Return the same day or on separate days. An adventure in the city, with views of Monte and the Bay of Funchal. Set out to explore Funchal, the main monuments, typical streets with cobblestone and gardens. With audio guides in 8 languages. Get in and out according to your preferences. 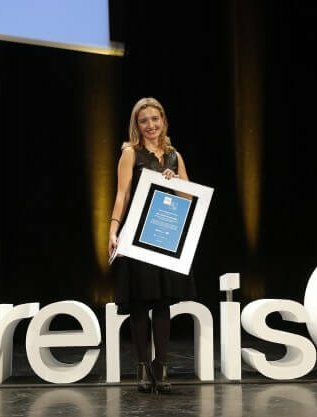 The Academic Association of the University of Madeira intends to promote heritage, spread the culture and value the history of Madeira among children. Various shops, a playground, plenty of bars and restaurants to meet your needs. This Mall has also facilities for chaging diapers and breastfeeding babies. In this bookstore you can find a section just for kids. Located in the touristic area of Lido, this Italian restaurant offers delicious delights for the whole family. With gluten-free meals available and coloring sheets for children, it will be a restaurant to repeat during your stay. The restaurant completes the visit to Fajã dos Padres, making it a unique experience. Only accessible by boat or elevator, the restaurant serves Madeiran regional cuisine, such as tuna dishes and fresh fish and desserts with locally grown products. The atmosphere is relaxed and serene. The Lagar is a typical Madeiran restaurant food, including local meat kebabs “espetada”. The entrance to the restaurant is through a typical Santana house. On the terrace there is a playground that makes the joy of children! This is one of the few revolving restaurants in the World. It has a room that provides visitors a fascinating view of the entire North Island coast, alternating views between the sea and the high mountains of St. Vincent. Taste the “Romaria” Soup! Delicious! Friendly restaurant on the waterfront. Serves squids with mayonnaise, limpets, ice cream and more… Relaxed atmosphere. Enjoy you Holiday! You deserve it!